Welcome to Birdfinders, one of Britain's most successful birdwatching holiday companies: run by birders for birders. We've been in business since 1993 and have been growing and adding to our birdwatching tours list every year since. 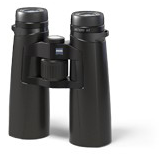 We offer exceptional value birdwatching holidays to locations around the world, so stop wishing, start packing! This has of course, cause problems with this year’s tours to China which have all had to be cancelled as there is insufficient time to get visa support documents from China and for participants to travel to visa centres but, we will be offering China tours again in 2020. 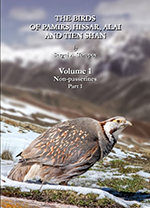 In 2020 Birdfinders will be offering a photography tour to the mountain Kingdom of Bhutan. We've just come back from Bhutan with some superb photos of many of the country's mouth-watering list of laughingthrushes. Full details of this fabulous tour to this unspoilt and beautiful country will be posted on our website soon so keep your eyes open for this opportunity of a lifetime. Birdfinders was founded by Vaughan Ashby in 1993 and has been growing ever since. Recent years have seen amazing growth despite the world economic downturn. We run excellent value and well priced tours to locations around the world and get a lot of repeat business from satisfied customers as well as new customers joining us after they discover what good value Birdfinders is and how good and bird-filled our tours are. At Birdfinders we cater to all levels of ability and enthusiasm is more important than knowledge as our experienced leaders are always on hand to assist. Although all of our birdwatching holidays and birdwatching tours are designed specifically for finding birds, we stop wherever possible for other forms of wildlife and previous tour participants have been able to combine birds with their interests in mammals, butterflies, plants, insects etc. Furthermore, whilst the very nature of birdwatching dictates some early-morning starts to ensure that we see as many species as possible, we can frequently arrange for participants to take time off to relax or sightsee, providing that does not conflict with the itinerary of the tour. All participants in Birdfinders tours will receive, in advance of the tour, a copy of a previous tour report (where available) or, a few weeks after returning, a copy of the current tour report (if a new tour). To keep costs down tour reports are not originated every year. However, currently we have nearly 200 tour reports, in pdf format, available on our website. We also have a list of photos from our tours – now nearly 9000 images! Participants also receive in advance a blank daily bird checklist for the tour, together with an information letter detailing helpful advice such as health requirements, what to bring, recommended reading, etc. At the end of each tour, a feedback form is provided so that tours can constantly be improved. We can also arrange customised tours to selected countries. See our Custom Tours page or contact us. Also, keep an eye on our Future Tours page to see where we're planning on going to next. We look forward to welcoming you on one of our tours in the near future. 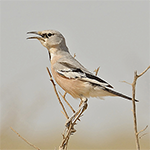 Birdfinders is a Corporate Member of the Ornithological Society of the Middle East. Nine of our tours visit countries in the OSME region: Egypt, Israel in Spring, Israel in Autumn, Georgia, Turkey, Kazakhstan, UAE, Kuwait in Winter and Kuwait in Spring and Uzbekistan. Join Birdfinders on one of our bird-filled tours in this exciting region. Birdfinders is pleased to be a Corporate Sponsor of the African Bird Club. Birdfinders runs seven tours to the African continent plus to islands off the African coast: Maderia, The Canaries and Cape Verde Islands. 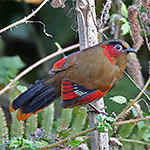 Join Birdfinders on one of our superb trips to this amazing continent. Birdfinders has become a Corporate Sponsor of the Neotropical Bird Club. We have 15 tours to the neotropical area of Central and South America and the Caribbean. Join Birdfinders on one of our fantastic trips to this bird-filled part of the world. Birdfinders are one of a diminishing number of bird tour companies that include flights in their prices. The reason we do this is to avoid clients arriving on a number of different flights causing problems at the start of a tour. The reason that other birdwatching tour companies don’t include flights are either they do not have the capacity to deal with this or, do not want to take the risk of having to pay more for flights than quoted in their brochures or on their websites. We can totally understand this as booking flights is one of the most difficult aspects of a bird tour company’s job because firstly, we have to guess what they will be up to 2 years in advance and secondly, there is no such thing as fixed prices for flights, the airlines prices literally can change by the minute. Additionally, there is no such thing as group discounts on flights, they are always supplements, the more seats you want to buy the higher the price goes. Well, imagine going around a supermarket and buying 10 tins of bean only to find out at the checkout that the price has increased as you want so many, would you be happy, I doubt it, but that is what airlines do, it’s called supply and demand! Whilst we always try to book clients on the most convenient flights this isn’t always possible, if you check online flight websites for 2 seats then increase it to 9 or more you will see what we mean! We do of course, always try to avoid passing any flight supplements but you will appreciate that this often means that we cannot offer direct flights although we will always try to offer you the choice. Limited airport capacity in the UK also causes problems by reducing the number of direct flights available to certain parts of the world and often airlines don’t have a daily schedule of direct flights which coincide with the number of days on our tours, Costa Rica and Cancun, Mexico being prime examples with British Airways. As all tours are designed to give the best possible birding we aren’t going to shorten or lengthen a tour just to fit in with airline schedules! So please bear with us when we book your flights, we try our best but sometimes we feel that we are fighting a losing battle! Whilst we welcome late bookings and try to accommodate potential participants, we have noticed an increasing trend for booking enquiries received so late that it is impossible to get flights, accommodation or in some cases visas in time. Generally, we have to make a decision three months before the departure date as to whether a tour will run or not and, at that time, we have to release any accommodation held. Unfortunately, these days, it is not possible to hold flights without names and frequently the prices of these flights increase substantially the nearer we get to the departure date. Similarly, accommodation prices also increase the nearer we get to the departure date. We have even been asked if there are any discounts for late bookings, sadly, the answer is no but there may be supplements for the increased price of flights and accommodation. We recently had to cancel a tour as we had not reached the minimum required number three months before departure only to receive enough bookings and enquiries to have filled the tour subsequently. In this case it was not possible to get flights and accommodation enabling us to resurrect the tour. If there is a tour that you are particularly interested in therefore, we would strongly urge you to book as far in advance as possible. Under new EU General Data Protection Regulation law coming into force in May, if you wish to continue receiving brochures from us you will need to ‘opt in’. The data held by us is always limited to your name, address, phone number and email and if you have travelled with us before, we may also retain information including passport details and food allergies/preferences. The data held by us is only used for the purposes of booking flights, accommodation and ensuring that our ground agents are aware of any of your preferences and none of it is ever shared. It is also not kept on an internet connected computer so cannot be ‘hacked into’. To continue receiving brochures from us, please send an email to birdfinders@aol.co.uk stating your full name and address. 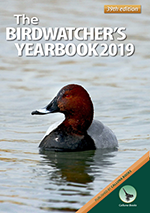 The Birdwatcher's Yearbook 2019 – from Calluna Books, the Dorset-based business owned by Neil Gartshore, a leader for Birdfinders. 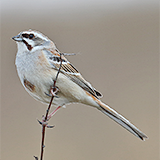 Help save the critically endangered Jankowski's Bunting – donate here. Birdfinders will be donating £5 for every client booked on any of our China tours in 2013 and future years. Birdfinders' donations to this vital appeal now stand at over £2150! Birdfinders' and Birdfinders' tour participants help save the endangered Santa Marta Parakeet. Click here for details. Click here to see how you can help support this important work. Click here to view our latest certificate presented to us by the World Land Trust.